Healthy, delicious, and perfectly cooked, Instant Pot Snow Peas are like heaven on a plate! 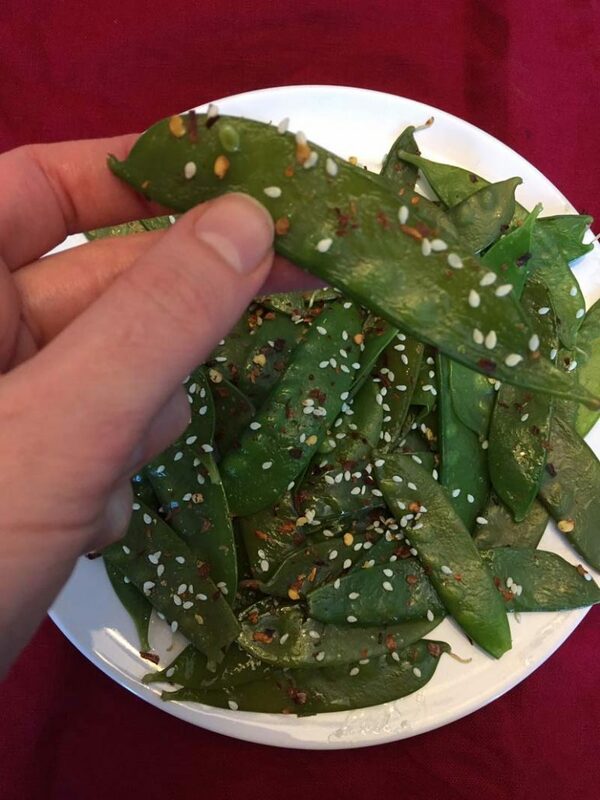 You’ll love preparing snow peas using this quick and easy method! I love snow peas. 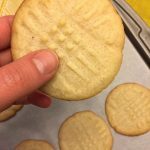 They are so sweet and perfectly crunchy when cooked the right way. While I love to make sauteed snow peas, sometimes I don’t feel like dealing with a frying pan and want to use my Instant Pot instead 🙂 The Instant Pot makes everything easier and snow peas are no exception. 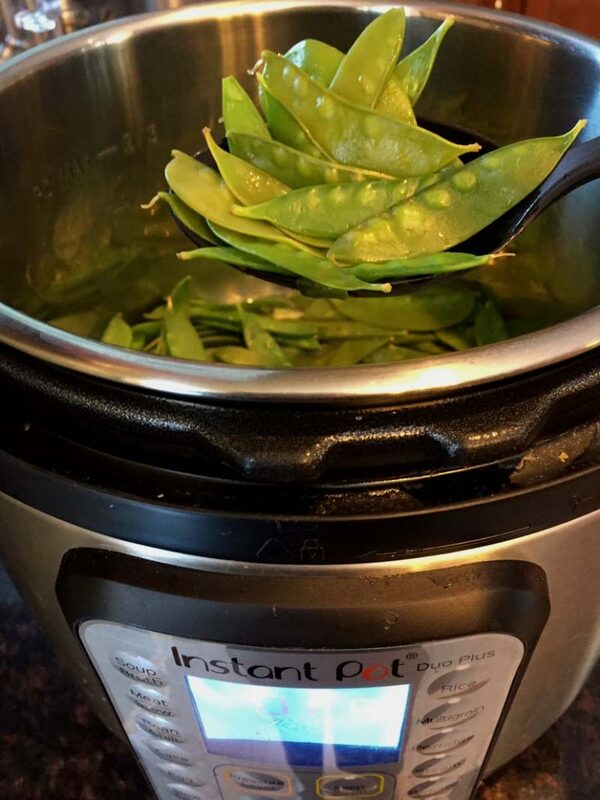 One bite of these delicious Instant Pot Snow Peas and you will never use the microwave to cook them again! Even self-proclaimed vegetable hates will love these delicious snow peas! You can cook any quantity of snow peas using this method! 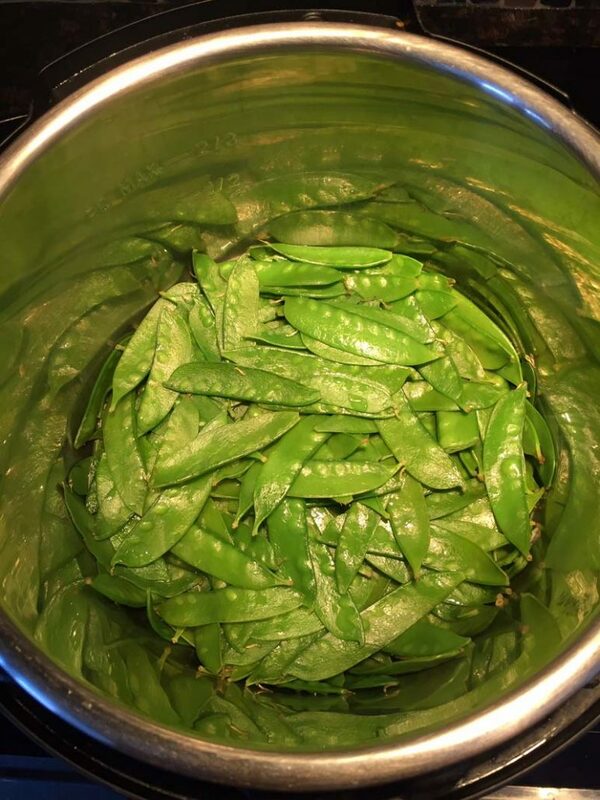 Whether you are cooking a cup or a pound, you can still use Instant Pot to cook snow peas. The amount of water used and cooking time even stays the same! It doesn’t matter if you are cooking for one or a whole family with this Instant Pot Snow Peas recipe. Your snow peas will come out perfectly every single time! 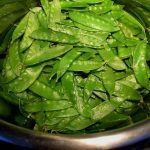 To make these Instant Pot Snow Peas, add water and snow peas to your instant pot and close the lid. Turn the valve to a sealing position and press the “Pressure Cook” or “Manual” button. Set your timer to zero minutes. Yes, zero. No typo there. You snow peas will reach perfectly cooked status in the time it takes your instant pot to come to pressure. 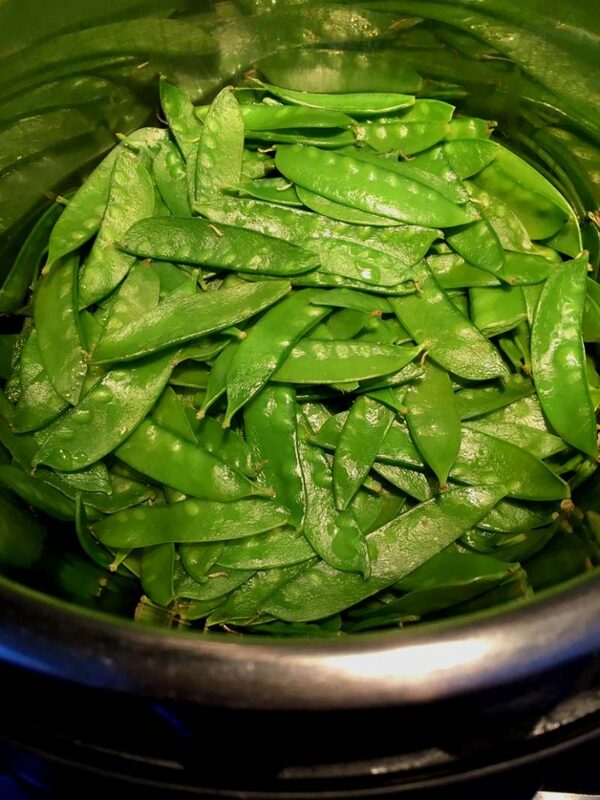 When your snow peas are done cooking, quick release the steam and drain the water from your snow peas. Sprinkle with salt and pepper to taste and, if you are so inclined, add some extra seasoning. I personally love minced garlic, red pepper flakes, olive oil, and sesame seeds. Your snow peas are now ready for your plate! These snow peas are ready and minutes and so amazing. I love enjoying them as a side dish with any meal. 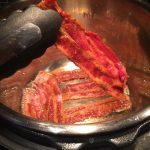 Using the instant pot, they come out expertly cooked every single time. The delicious crunch these snow peas provide makes this recipe a winner! Even your pickiest eaters and veggie haters will get on board with these peas! 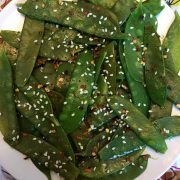 With this fast and tasty recipe for Instant Pot Snow Peas, I am going to keep coming back for more and more and more and… you get the idea. Instant Pot Edamame – tastes just like edamame appetizer in a Japanese restaurant, but a much larger portion at a fraction of a price! Instant Pot Green Beans – perfectly cooked in minutes, these green beans are so healthy and delicious! Instant Pot Eggplant – so spicy and garlicky, this Instant Pot eggplant is truly addictive! Instant Pot Collard Greens – these healthy greens are cooked to perfection in the Instant Pot! A much simple way to cook this Southern favorite! Instant Pot Mushrooms – these mushrooms are mouthwatering! Great as a side dish, in a stir-fry or as a burger topping, you can eat these yummy mushrooms so many different ways! These Instant Pot snow peas are amazing! Perfectly cooked and ready in minutes! So healthy and delicious! 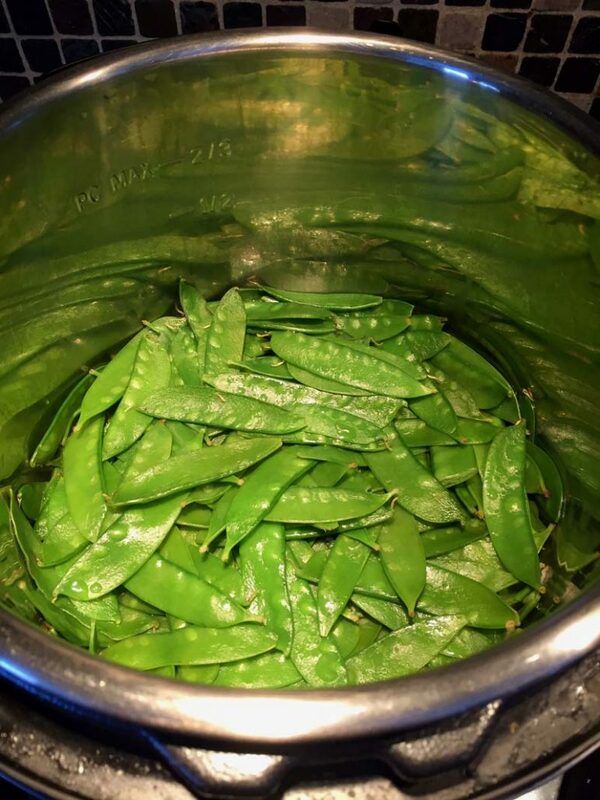 Add water and snow peas to the Instant Pot. Close the lid and turn the valve to a Sealing position. Press the "Pressure Cook" or "Manual" button and set the time to ZERO (0) minutes on High pressure (the snow peas will cook enough while the Instant Pot is coming to pressure). When it's done cooking, quick release (QR) the steam. 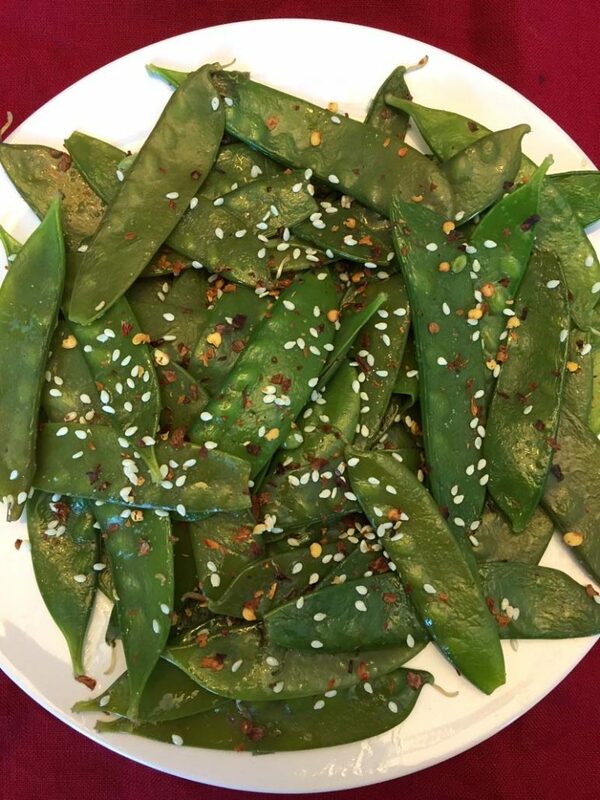 Drain the cooked snow peas and sprinkle with salt and pepper to taste (additional optional seasonings that go well with snow peas are minced garlic, olive oil, sesame seeds and red pepper flakes). You can use any quantity of snow peas, the amount of water stays at 1 cup and the cooking time remains the same.